Before you commence on your learning journey, please create a students' account at www.edmodo.com , the learning management system that we are using. Once you have done this, please register and purchase our e-lessons through our shopping cart below. 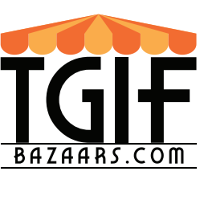 Upon the successful completion of the entire module, you will be given an e-certificate of completion by TGIF Bazaars LLP. Each module will consists of 4 lessons conducted over 4 weeks through asynchronous learning. There will be a graded online Quiz that learners have to complete at the end of every week. Learners must attain a 80% overall score before the e-certificate would be issued. Module A : Creating your way to success at Pop-up Markets! Home based chefs at Pop-up Markets?